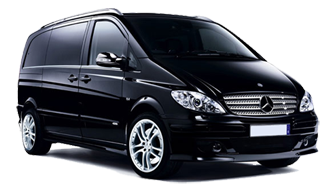 Minibus Transport Solutions provide 24 hours cheap minibus and taxis for Airport Transfer Services in Chelmsford you can Book Cheap Taxi Heathrow Airport, Gatwick airport, Stansted airport, luton airport, London city airport, Manchester airport, Birmingham airport, Glasgow airport with driver to and from anywhere in the England. But when you think expenses and get much frustrated. Then we have a solution for you which not only will give you entertainment but also will save your money. As we have 35% less charges than any private vehicle and also gives you money back guarantee of our pricing plan. Minibus Transport Company is the name of trust in the transport business. Moreover, we provide minibuses for the events like wedding, birthdays, holy places tour, race course, theme parks and stadium and business purpose. Minibus Hire Chelmsford provide meet and greet service to its customers especially for those who are new in the town. Our driver will pick them from their flights and will drop at their destination. We also take port pickup bookings as our driver will pick from any port such as Dover, Harwich, Portsmouth and Southampton Port Taxi Transfers. You can also hire our 7, 8, 9, 12, 14, 16 Seated Minibuses with Driver Chelmsford to and from any point at any time of the day or night. Our service is best as it is cheap and reliable, provides all the basic needs of real time travel. For your convenience we also have managed some brief instructions to make your journey more comfortable and luxurious and to avoid any kind of mischief. View them and read out those before travel. You can also log in your query at our website which will be replied promptly. Moreover, you can paste your complaints/suggestions in order to improve our service. Your ideas will be guideline for us. Please make us a call and avail advantages which we have managed for you.